If you have a hazardous tree on your property, we provide emergency tree care services, including emergency tree trimming, tree removal, and tree bracing/cabling for folks throughout Houston and the surrounding area. 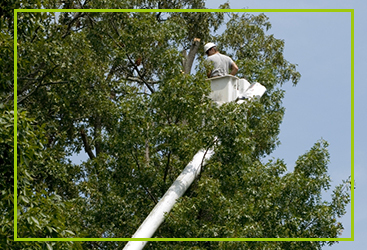 Reach out to us right away, day or night, for emergency tree care services. While your trees may be the most beautiful feature of your landscape, they can also be one of the most hazardous. A tree in your backyard is great until a storm hits and the tree causes structural damage to your home. In instances like these, you are left with an emergency on your hands which simply cannot wait. You need a professional tree care service, and you need it right away. We understand, and we can help! When you need the help of professional arborists, work with JRP Tree & Demolition. In addition to our affordable tree care prices, we offer emergency assistance for any kind of job. Rely on our experience and expertise to make your situation better. Again, feel free to get in touch with us whenever you need emergency tree care, or you can learn more about our specific tree care services below, as well as the benefits of calling on the JRP team for your needs. If you have a fallen limb that is resting on your home, or you have limbs that are threatening to fall on your home or property, then we can remove them right away. Due to high winds, lightning strikes, and aging, damaged, or diseased trees, you could find that your home, property, and passersby are in danger of being damaged by a tree limb. We’re here to quickly and safely remove any tree branches that pose an immediate threat to you, residents in your home, and your property itself. We have the appropriate equipment to tie off these branches as we remove them, so that your home will never be in danger from a branch snapping or falling as we work. We offer emergency tree trimming services for Houston residents, 24 hours per day, seven days per week. Oftentimes, an entire tree can turn into a monstrous hazard. If you have a tree that has been struck by lightning, a tree that is dead and beginning to decay, a tree that is diseased to the point where it is beyond saving, or a tree that is leaning, it may prove dangerous. In these instances, if you notice that your tree is beginning to sway, break, bend, or drop limbs, you should act immediately. We can completely remove your tree from your property to ensure that you remain protected. For larger trees, we can use a cherry picker or crane to aid us in removing limbs section by section, so that we don’t risk having limbs (or the entire tree) falling on your property or home. We’ll cut your tree down into manageable pieces, carefully lower them to the ground, and remove all the remnants and clean up once we’re done. We even provide stump removal and stump grinding services if you’d like to completely clear your landscape of what would have been left of your tree. Again, we provide emergency tree removal services around the clock. Sometimes, trees may be salvaged with cabling and bracing. If you have a tree that has begun to lean, it’s prone to fall at any moment. That’s a common occurence here in Houston, since we have so much rainfall (and, therefore, highly saturated soils). If you notice that your tree no longer stands upright, be sure to give us a call before it’s too late. In some cases, we can cable and/or brace your tree to hold it in place as its roots establish a firm grip on the earth. In other instances, however, we may not be able to save your tree, and we may have to remove it. We can assess your specific situation, and we’ll provide you with the best solution for your scenario. 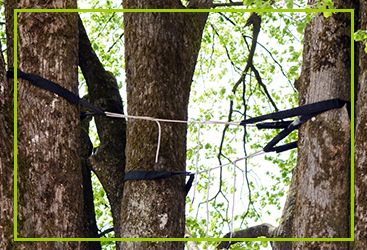 Count on us for emergency tree cabling and bracing services when your trees start to lean. When you count on JRP Tree & Demolition for your emergency tree care needs, you can rest assured that you’ll get the swift, yet thorough service that you demand. Plus, we provide a litany of benefits that you simply won’t find from our competitors. We offer all-day emergency services, knowledgeable assessments, a quick turnaround, thorough cleanups, and affordable pricing. Plus, our employees and company are licensed and insured, so you can have the peace of mind that if something should happen on our watch, you won’t have to worry about it. We understand the meaning behind the word “emergency.” That’s precisely why we strive to provide a response to those who need it, as soon as possible. We’ll do our utmost to make it to your property before damage occurs (or before any more damage occurs). You can call us anytime, day or night. We’ll be there as swiftly as possible to help you out. Here at JRP Tree & Demolition, our tree care experts are just that: experts. We know how best to handle emergency situations, and we’ll survey your particular situation quickly, and we’ll provide you with a plan that will work. We’re swift on our feet, yet we never neglect maintaining a safe environment, ensuring that any pressing danger to your property or residents in your home is minimized. We work quickly to remove those dangerous limbs right away. After all, a limb can snap at any moment if it’s barely holding on. With larger limbs and limbs that are above your property and home, we’ll tie them off and carefully lower them to the ground, avoiding damage that may otherwise have occurred. We see our projects through to the end. Once we’ve cut down your tree or some of its limbs, we’ll haul off all of the debris that is left over. It’s our goal to leave your property looking as good as it usually does (sans a tree or limb or two, of course). We’ll clean up our mess before you go, so that you won’t have another project on your hands. While other tree care guys may gouge their prices while you have an emergency on your hands, we understand that you don’t want to lose an arm and a leg just to have a limb cut from your tree (pardon the pun). We offer fair, affordable prices that are comparable to our standard tree care prices. We’d be happy to give you a free quote for your project as well, so you know what to expect when the bill arrives. 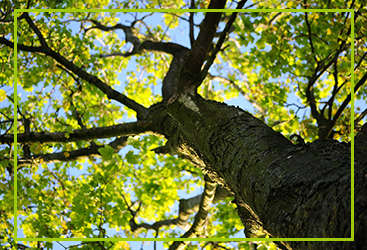 We’re a licensed and insured company, and we even have a certified arborist on staff. That means that we know what we’re doing, we use safe practices, and you’re always protected, should an accident happen on our watch. Call us now and we’ll be there in no time with the efficient, effective emergency tree services. Again, we provide emergency tree trimming, tree removal, and tree cabling/bracing services for folks throughout Houston and the surrounding area.